Have you ever thought it would be a great idea to have your favourite classical author’s quotes or pictures on a t-shirt or umbrella? Well this website, Literary Luminaries, has answered two of my wishes so far. They place famous classic authors, with their signatures, on everything from note cards, to umbrellas; to coffee mugs (some mugs do contain quotes). 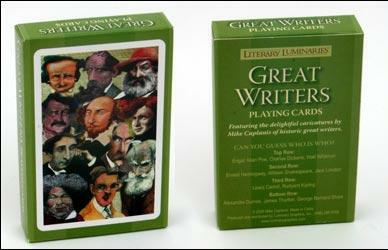 Literary Luminaries is a graphic arts product company in Virginia. 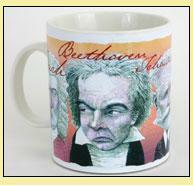 The site features caricatures of the world’s most famous authors, done by artist Mike Caplanis. Look at some of my favourite products from their site below! Great Composers II - Featuring Bach, Beethoven, Tchaikovsky, Chopin, and Mozart. Posted on March 3, 2010 August 11, 2010 by LN	This entry was posted in from the page to life's stage. Bookmark the permalink.